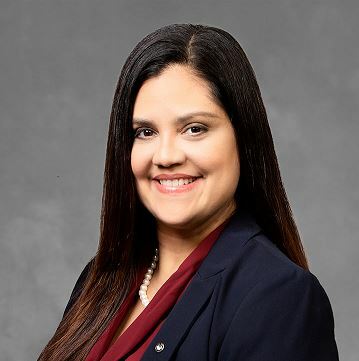 Yesenia Villalta, is currently the Administrator/Health Officer for the Florida Department of Health in Miami-Dade County. Dr. Villalta provides oversight to public health activities for the local health department. She has been with the department since 2005 in various capacities and roles. Since 2014 until recent appointment she has served in the role of nursing director. Prior to the appointment of nursing director, she worked as an assistant nursing director. She started in the department as a direct clinical provider. Since first entering the health department she has been involved with various public health issues and emergencies. Dr. Villalta is also part of the senior management team since 2007. She has had the opportunity to take the role of operations section chief within the incident command structure for the department. She provided senior leadership management to the Preventive Services program which includes family planning clinics, maternity services, breast and cervical cancer screening program, school health and dental services. Dr. Villalta is an Advanced Practice Registered Nurse since 2003 and in the nursing field since 1999. Before coming to the health department, Dr. Villalta worked as an APRN in private practice in collaboration with a physician in family medicine. Dr. Villalta is focused on public health issues, clinical practice and quality improvement and performance management. During her tenure as an Executive Community Health Nurse she has been able to expand family planning services, implement a colposcopy specialty clinic for women who have been diagnosed with an abnormal pap smear and has been able to significantly improve school health services by working with community partners and implementing telehealth services in the school setting. Dr. Villalta has also been actively involved in the agency’s performance and quality journey by chairing and leading various workgroups and quality improvement projects. Taking lead roles in public health accreditation and Sterling Performance Excellence site visits. She also participates in various community and nursing advisory boards. Dr. Villalta is a three-time graduate from the University of Miami School of Nursing. Dr. Villalta earned a Bachelors and Masters of Science in Nursing as well as a Doctor of Nursing Practice degree.